Elorm Avakame, MD, MPP is a recent graduate of Harvard Medical School and the Harvard Kennedy School of Government. He is a pediatrics resident at Children’s National Medical Center in Washington, D.C. In this season one finale of Dear Premed, Dr. Avakame shares what it was like growing up with parents who were immigrants from rural Ghana. He gives us a window into his journey to medicine, both the support system that nurtured him and the darkest moments of his life navigating his mental health in medical school. This powerhouse gives us incredible words of encouragement both during our interview and in the excerpts included in this episode from his graduation address at Harvard Medical School. Stacy Jones, a dual degree student at Harvard Medical School and the Harvard Graduate School of Education, opens up about being diagnosed with a learning disability in medical school. We discuss her efforts to improve support systems for students with disabilities and the AAMC report she contributed to as a research assistant called Accessibility, Inclusion and Action in Medical Education: Lived Experiences of Learners and Physicians with Disabilities. On this month’s episode you also don’t want to miss my advice on pitfalls and pro-tips for writing your personal statement and a medical minute on an interesting new study published in the New England Journal of Medicine about black barbershops and blood pressure. 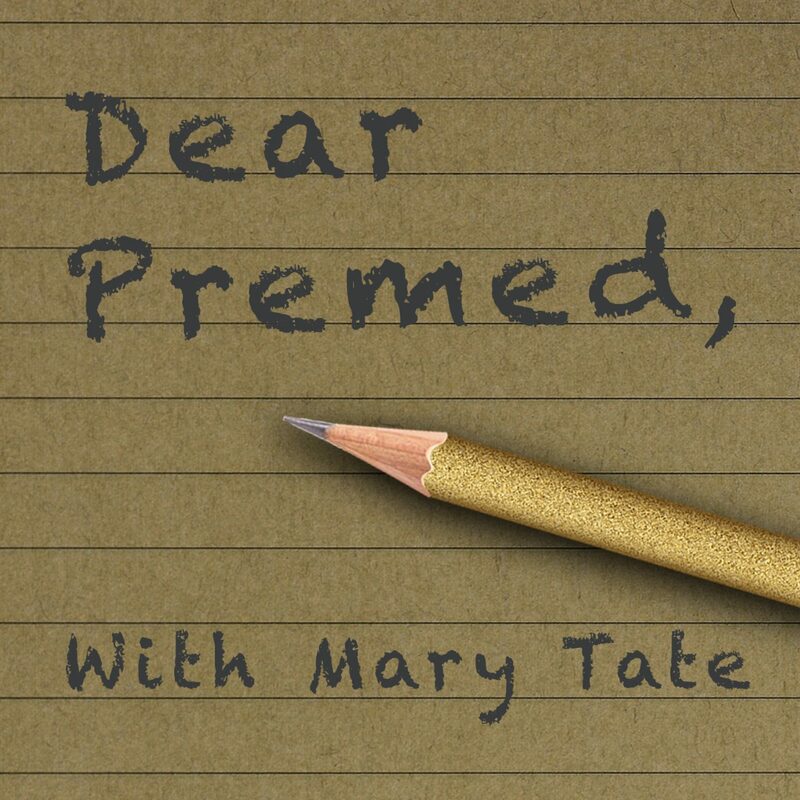 Dr. Alister Martin, an emergency medicine resident, chatted with me for this month’s episode of Dear Premed. Hear how this Neptune, New Jersey native was inspired to pursue medicine. From GED to Harvard Medical School and the Harvard Kennedy School of Government, Dr. Martin describes how he did not let his biography determine his destiny. This month’s episode will also include my advice on mentorship and a special black history month medical minute. Don’t forget you can send in your questions to dearpremed@gmail.com! Tune in to Dear Premed’s first full-length episode!!! Jennifer Bido, a fourth year medical student at Harvard and future orthopedic surgeon, joins me to talk about her path to medicine. You also don’t want to miss the first medical minute of the show on Puerto Rico and my answers to your questions about taking a gap year(s) between college and medical school. The first full episode of Dear Premed will drop the first week of the new year. In this introductory episode of Dear Premed, learn a bit about me, your host, and get a taste of what is to come! Welcome to Dear Premed with Mary Tate, MD. Tune in every month for advice on all things premed.